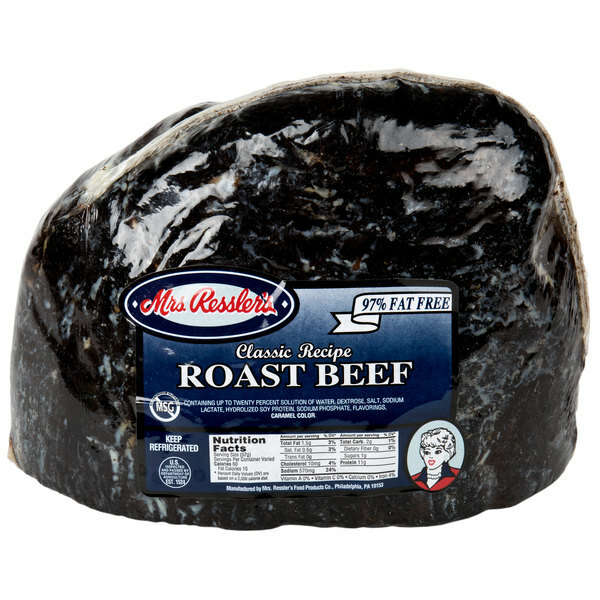 Whip up hearty, succulent sandwiches in your deli, sandwich shop, or cafe with this Mrs. Ressler's 7 lb. top round cooked roast beef. 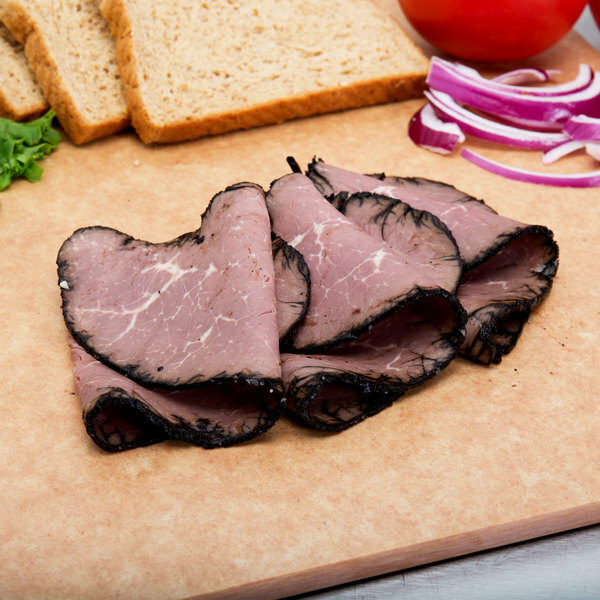 This cap-off, top round roast beef deli meat will produce lean, thin cuts, allowing you to easily and quickly prepare gourmet sandwiches packed with tender flavor. Prepare a succulent sandwich with a zesty kick, pairing this deluxe roast beef with diced fire-roasted jalapenos, and topped with melted cheddar, or serve on a sliced baguette with provolone and french dip. Or, incorporate this meat onto a deli tray, layered with honey glazed and applewood ham, and oven roasted turkey alongside american, provolone, and Swiss cheese, for a great party platter option for your customers' events. It's made from USDA Inspected quality beef, and expertly trimmed to yield a leaner product. It is slow roasted to ensure great-tasting, medium cooked, tender meat. 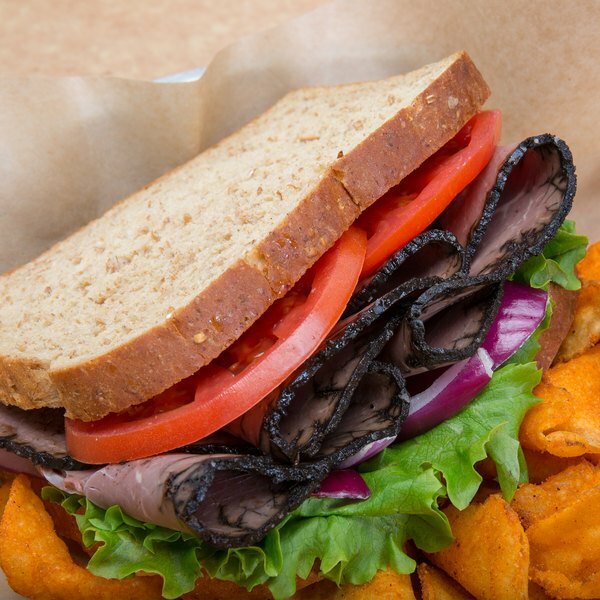 With 0g trans fat and only 60 calories per serving, this roast beef is an ideal option for the health-conscious consumer. It's also free of MSG so you can rest assured that your customers are receiving a natural, quality product. Ready for immediate service, slice it by hand or with a slicer to the desired thickness, and serve. Good flavor. Nice and dry like a slicing roast beast should be. Good texture and pairs well with swiss cheese and horse radish on rye bread.